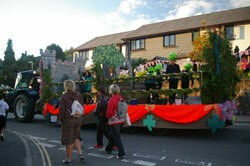 Combe Martin Tourism Association was formed in the 1990’s, to help promote the accommodation providers in the village. The association used to produce a printed guide and leaflets for providers to advertise in and to tell visitors what they can do in this area. As time moves on so printed guides are no longer needed as the Internet has taken over this role. In the early 2000’s the association designed a new website for providers to advertise in. We updated this website in 2018 so it is modern and works on all platforms. Destination websites, such as ours now battle for business against much larger and more aggressive online booking sites. Accommodation providers find themselves forced into giving some of their availability over to these sites in fear of losing out on bookings. But our website still has its job to do. 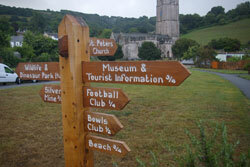 The booking sites cannot give the local knowledge and tell visitors about things to do in the area. Their prime job is to get bookings, but at a price. As nearly all small accommodation providers are not VAT registered, the cost per booking is usually around 20% plus VAT, amounting to nearly 25% of the booking cost. If this is not carefully controlled, small businesses’ marketing budget can go out of control. They should aim for a marketing budget of about 4-8% of turnover. A common misconception when small businesses have their own website, is they do not need to be part of the local destination website. But this is not the case. It is almost impossible now to get good positions on search engines for small hotels, B&B’s and self-catering providers. The competition for these categories is fierce and the booking sites and large self-catering agencies get the top positions. Booking sites will not put a link to your own business website as they do not want people bypassing their commission. An advert on your local destination website can therefore work for you. Should someone search for Combe Martin accommodation then our destination website will be near the top of the first page on the search engines. Then if they find your advert and like what they see, they could then book directly with you, saving you the booking sites commission of about 25% of the booking. This is also where you can benefit from having your own online booking on your website and a direct link to it from your destination website advert can really work. Long gone are the days when everyone phoned to make their accommodation booking. Now people want to do this online, so making that easy, direct from the local destination website or your own website, makes sense. Another big benefit for having an advert on the local destination website is the link from a destination website direct to your own website. Search engines do recognise the importance of destination websites, so a link from that site to your own gives your site a strong and important inward link. Getting quality inward links to an accommodation website is a major problem. This means it is important to at least have quality outward links to websites you feel will be of interest to your site visitors. If your own website helps visitors decide to come, then they are more likely to book with you than with a site that is only talking about themselves. By supporting your local destination website with an advert helps us build a fund for marketing. This usually means PR, Facebook and Instagram and these need to be done professionally. By raising awareness of Combe Martin through social media and our website means more people visiting us so all businesses benefit. So, don’t let other local businesses support your business – join in and the village benefits more. If you want to discuss this further or take out an advert on the Combe Martin website, then please call Bryan on 01271 883487. Please note, this number has Call Guardian, so please state your name when asked. 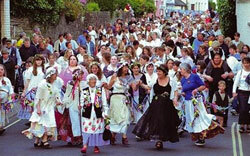 Or email Bryan at info@visitcombemartin.com.